This is a creation poem of a most unusual perspective. It orientates you to the flesh of senses we inhabit as a world. It rinses through your pours till you once again smell and taste the sacred bread that rises within you. The tin door opens and the conversation begins. Poems inspired by Vincent Van Gogh's life and works. A book reflective of the artist journey and insight received from listening closely to the muse within the life of Vincent Van Gogh. Art work and photography accompany the poetry as a collaboration with the work. 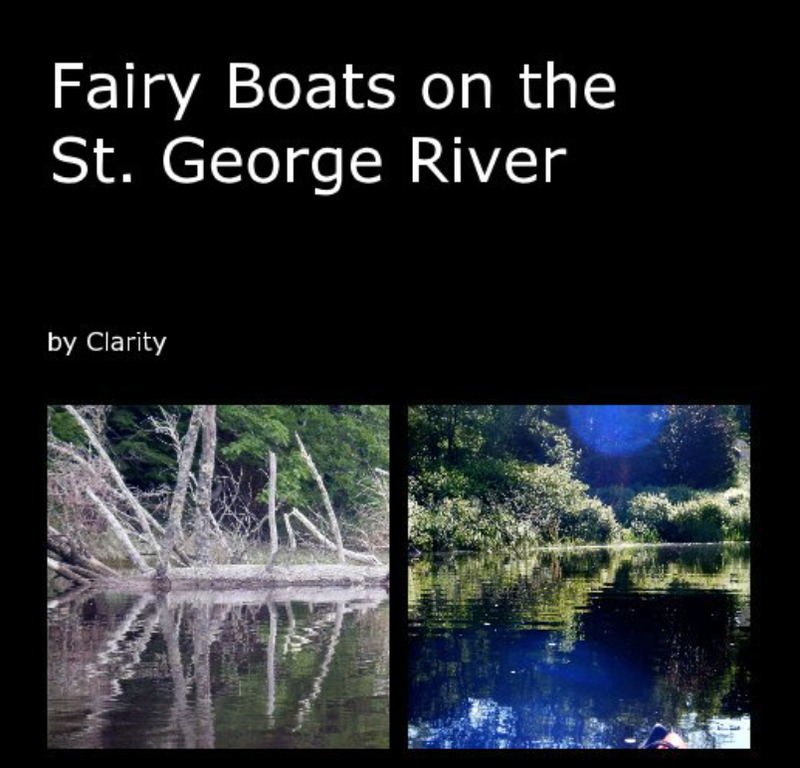 Fairy Boats on the St. George River. Poetry along the St. George River in Maine.